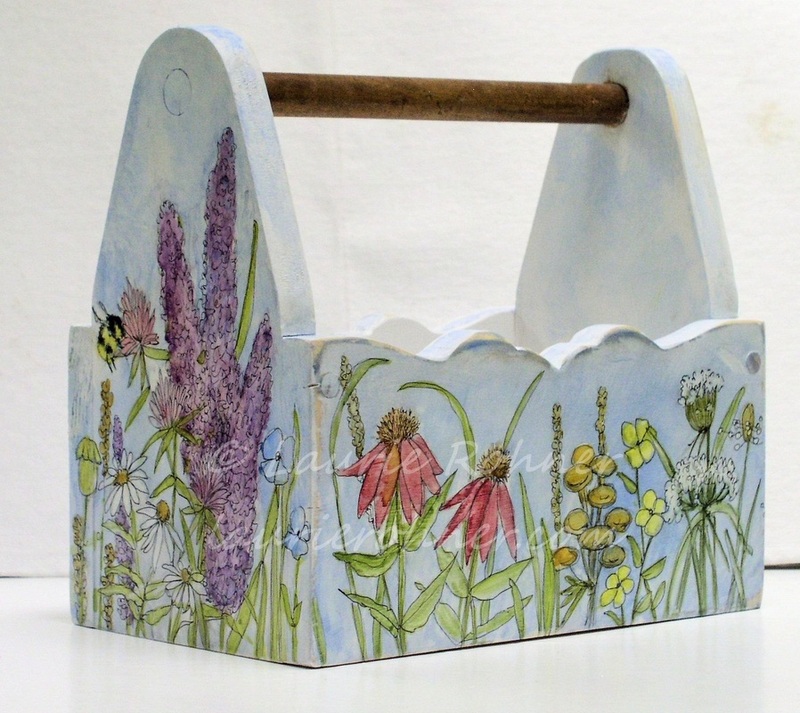 SOLD Hand painted watercolor garden wood tote has botanical garden flowers and wildflowers around every side. I hand crafted this tote from 3/4 inch pine and it is very sturdy. 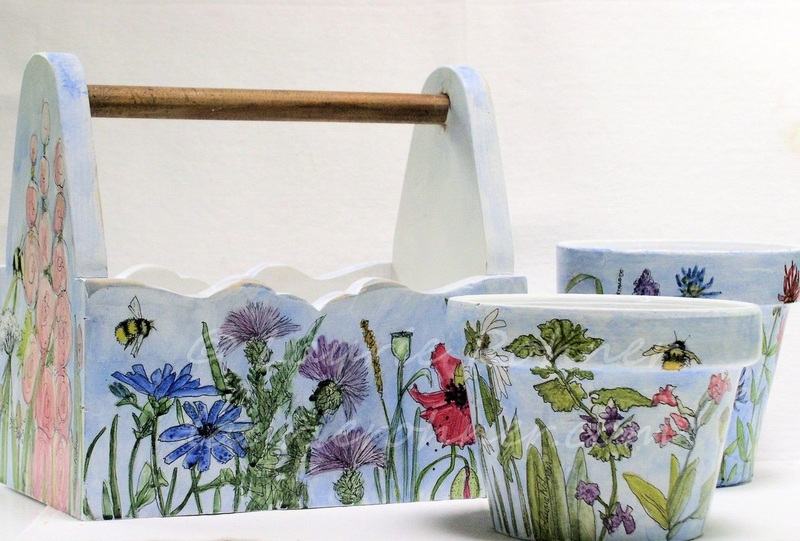 You can easily plant some flowers inside or use it to keep your garden tools handy. I love to use these totes for napkins and utensils for entertaining. 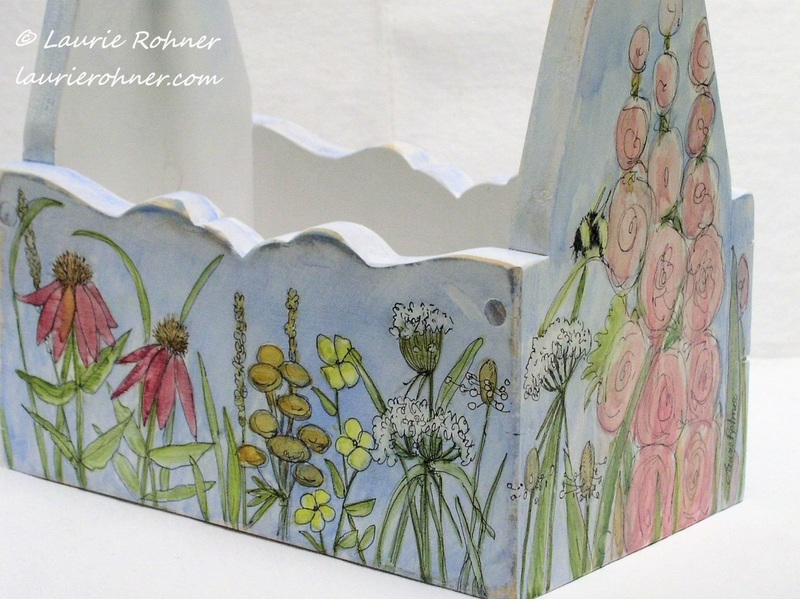 This watercolor garden tote is part of my new hand painted furniture design. 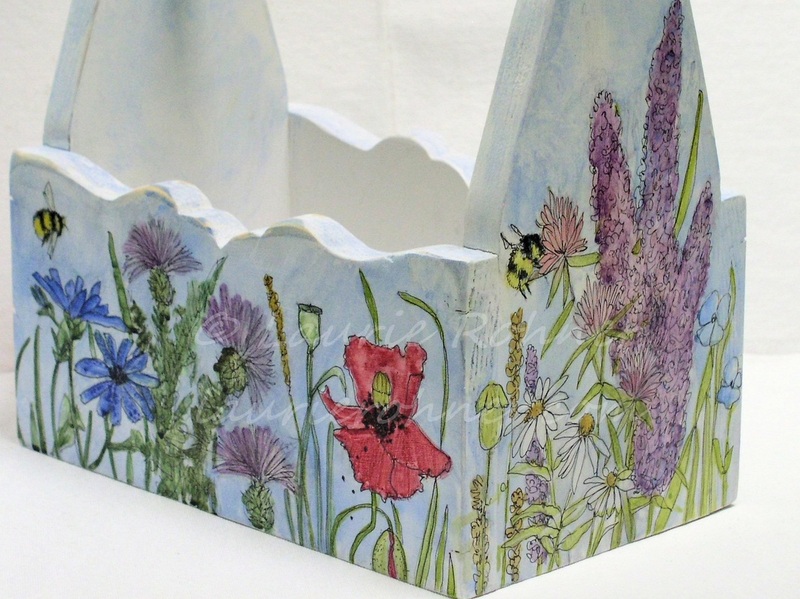 and the inside is 9.25" l x 5"d x 9.5"h.
Great for a pop of whimsy in any decor. Makes a great gift for a new home or birthday. Use it year round. The design is hand sketched onto my hand crafted wood planter tote. I hand painted the garden flower design using watercolor and ink. Each work is a one of a kind and I do not use stencils transfers or prints and they are always my original work. A functional piece of art can easily fit any decor. Hours to complete 7 1/2 hrs.